Have you checked on your gutters lately? This is an important question because gutters are often left unnoticed. Some people also feel like they aren’t as crucial as your roofing. Contrary to this, gutters do have extremely critical roles. Failure to act on gutter problems like sagging could cost you even more money in the future. Want to find out how to repair sagging gutters? We’ve listed down below some of the most practical tips that you can follow. If you want to fix something, the first step is to identify what causes the problem. This applies to your gutters as well. Before concluding that it is indeed a case of sagging gutters, you need to confirm the signs. Even from the ground level, visually inspect the condition of your gutter system. Spot any loose attachments, hooks, screws, etc. to confirm that there are sagging parts. Note that you don’t really have to climb up a ladder to check on your gutters closely. Going up a ladder puts you at risk for accidents like falling or slipping. If after a visual inspection you’re still unsure, it’s better to let experts assess the problem areas. By clearing the gutter area, you’ll be able to identify where the sagging is. It’s difficult to identify the sagging parts of your gutter system especially if there are obstructions. To pinpoint the real cause of sagging, experts recommend clearing the area first. You can do this by wiping dirt and stains and also by scooping out debris such as fallen leaves, twigs, etc. Clearing the gutters may seem like a minor task. However, you have to be extra careful as there’s a possibility of creating more harm to your property. People without proper training may not be able to handle the gutter the right way causing further damages. In some minor cases, sagging can be resolved by fixing the hangers. If you’re not too familiar, hangers are the brackets that support your gutter system. 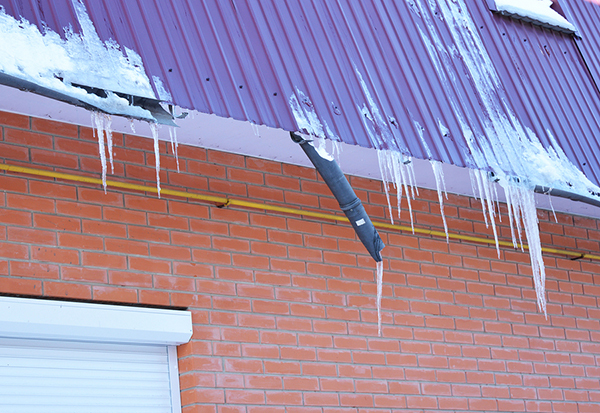 Once these hangers are no longer intact, gutters tend to break apart and misalign. Check the hangers and make sure that the screws and attachments are all in place. Upon receiving clearance from your trusted gutter experts, you can perform the simple procedure yourself. The first step is to remove the damaged hangers using pliers or pry bars. Then, take a new one and secure it in place. One issue with DIY gutter repairs is the tendency to mismatch materials. There are specific dimensions and sizes that should 100% fit your existing system. To avoid compromising the reliability of your gutters, make sure you always seek assistance from professionals. When to Call a Gutter Expert? If you have already followed the practical tips we shared but still see some sagging, you definitely need professional intervention. To implement effective solutions, call on a gutter expert and report all your observations. Don’t forget to schedule a site inspection so that gutters are fixed right away. We also want to remind our readers that reaching out to gutter experts shouldn’t just happen after sagging incidents. To keep gutters neat, functional, reliable, and sturdy, there’s a need to perform regular maintenance for at least twice a year (or depending on the recommendation of gutter specialists). If you take gutters for granted, there are serious problems that may arise including roof leaks, rotting, plant growth, flooding, and other water damages. Is DIY Gutter Repair Advisable? Knowing how to repair sagging gutters doesn’t mean you have to do it yourself. While we advocate a proactive approach to roofing, we want to make our Tulsa readers understand that there are far too many risks involved. 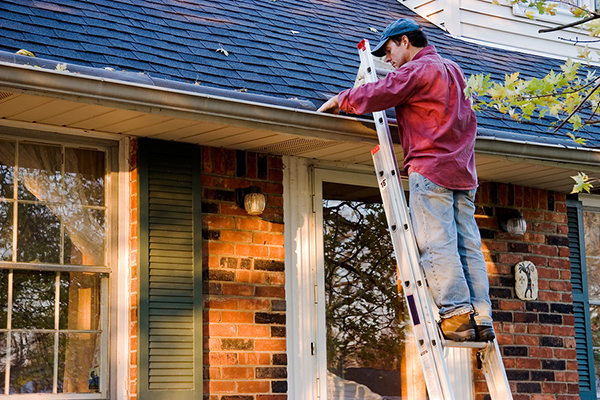 Before you even perform any DIY gutter repair, you have to think twice and prioritize your safety. The good news is that there are people who can help. Make it a habit to ask, consult, and collaborate with licensed and experienced gutter professionals. We consider it as a band-aid solution simply because DIY repairs are just temporary. They do not give you long-term results which you need in order to prolong the life of your entire gutter system. The more you treat sagging gutters with temporary solutions, the more complicated they will be. It becomes a cycle until it reaches the point when there are no more alternatives available than a replacement. If you want to solve any gutter problem, you need comprehensive gutter repair services from experts. Above anything else, the key is to schedule preventive maintenance procedures. These are done to make sure you detect threats and solve them immediately. Every home improvement and roofing projects have specific safety measures. Most of the time, DIY projects do not meet the industry safety standards which put the life of homeowners at risk. Unfortunate events such as falling or sliding are not just expensive but are also life-threatening. For your own peace of mind and for the benefit of your problematic gutters, don’t climb up right away. Secure clearance from professionals to avoid accidents. 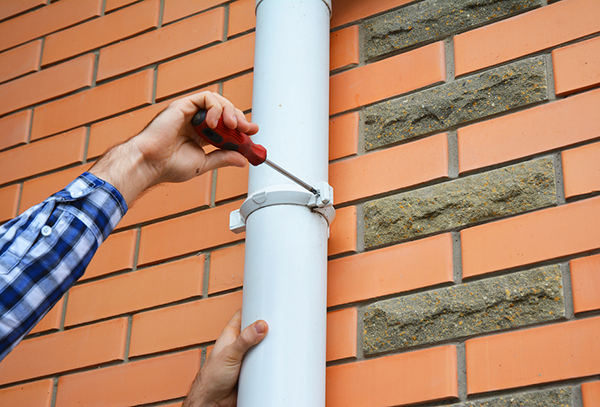 Gutter repairs aren’t as simple as you may think they are. There are exact measurements, sizes, materials, and dimensions that vary depending on the design of your gutter system. You cannot pattern your problem with other people’s experiences. There are different gutter shapes and sizes. We also want to point out the importance of knowledge, skills, and experience. Lack of proper training could lead to bigger problems sooner. The real question is not all about how to repair sagging gutters. It’s far more important to know what causes sagging so you would prevent them early on. Actually, sagging is a result of daily wear and tear, hence, it is difficult to avoid. Installation is probably one of the biggest factors that would determine your gutter’s performance. Wrong or improper gutter installation could cause hangers and attachments to fall apart easily. Worst, the system wouldn’t function as planned. They will only cause more problems like water damage. On the other hand, gutter specialists can develop a personalized design that would cater to the specific needs of your property. As experts, they have ample knowledge of gutter materials and other elements that would make gutter installation a success. 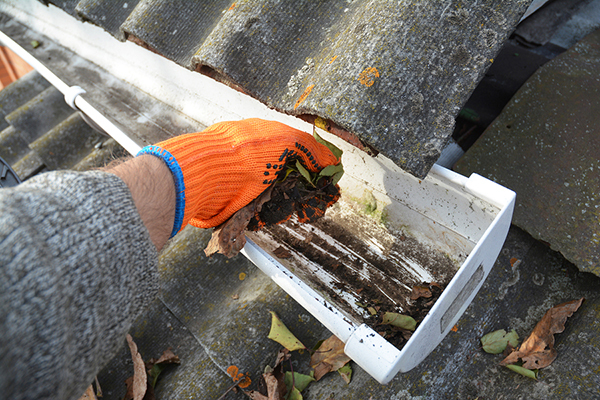 Clogging is common as gutters are exposed to external elements like twigs, leaves, dirt, debris, and more. These things could accumulate over time adding unnecessary extra weight. In extreme cases, clogging can also prompt water to backflow creating more damages. Don’t wait for your gutters to clog. Schedule inspections and preventive maintenance regularly to avoid inconveniences like gutter sagging. Here’s an example of what could happen after a terrible snow storm. Strong typhoons, hailstorms, tornadoes, snowstorms, and other harsh weather conditions can pull the gutters away from their attachments. If you experience any of these, don’t panic. Contact your roofing contractor for a site inspection and inquire about insurance claims as they can also assist you on the process. Some gutters sag prematurely because they simply do not match. More homeowners should understand that all gutter systems are unique. It’s customized depending on varying factors. Your roofing, for one, should be able to complement the type of gutters you’ll install. Wrong gutter size couldn’t carry the rush of heavy rainwater which will definitely cause sagging sooner or later. It’s not enough that you know how to repair sagging gutters. Even if you have basic knowledge on fixing issues like sagging, it doesn’t necessarily mean that you are providing the most appropriate solutions. To give your gutters long-term remedies that they need, don’t resolve to DIY projects that aren’t approved by experts. Gutters aren’t as simple as they seem because they vary in sizes, classifications, dimensions, material, etc. You need proper training in order to come up with a gutter design that matches the entire property. Final Tip: Always be two steps ahead. Don’t wait for problems to manifest. Prioritize gutters by treating them with utmost urgency through scheduled inspections and regular preventive maintenance. Remember, a good and stable gutter system is your partner in keeping both the roof and structure dry. For more information on how to repair sagging gutters, feel free to reach out. Ranger Roofing of Oklahoma’s gutter specialists are always available to answer your questions and solve your concerns. Call us at 918-347-4627.